This heavy duty aluminum chair base can be used as a replacement for chairs and stools with a standard bottom plate base cylinder and 5 casters. It works on most chairs purchased at office supply stores and widely use. 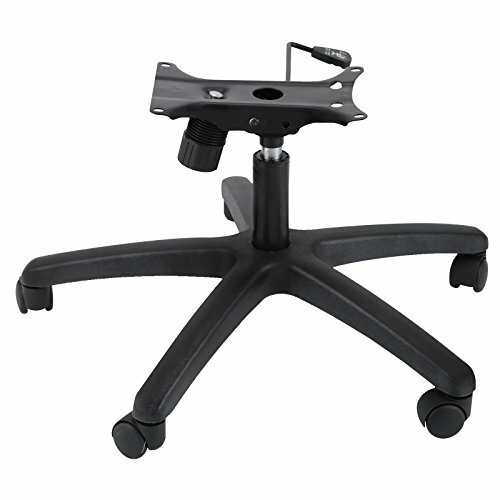 It can also be used to replace standard black plastic bases, giving your chair a nicer, more finished look.